rubinoff.org is a centralized location for the business and personal connections of Eric and Nora Rubinoff. Although we are located in West Chester, Ohio, our clients, family and friends span the globe. 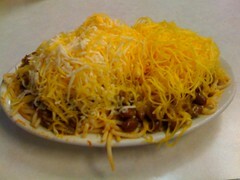 above as a treat from Skyline Chili.